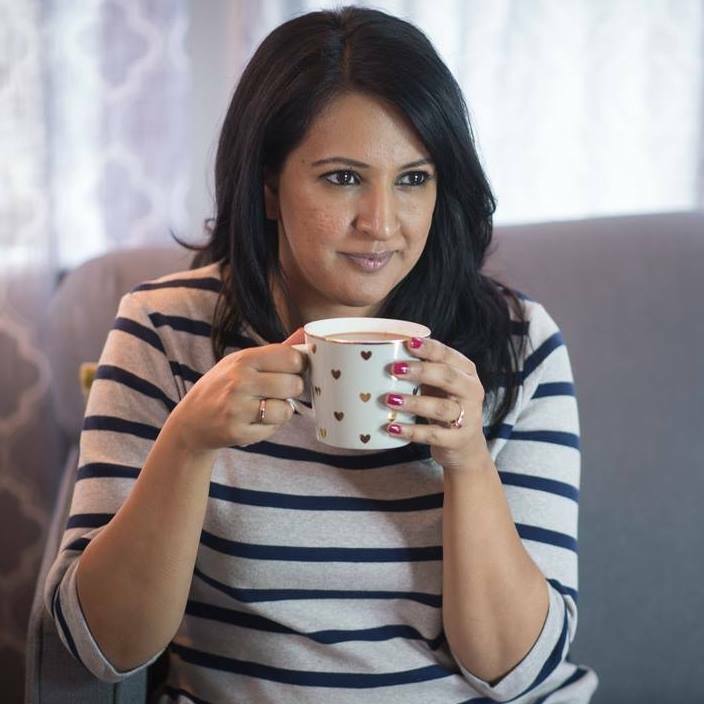 I’m super excited to be teaming up with the creative folks at Bazzzar.com to bring you a series on styling kurtis. 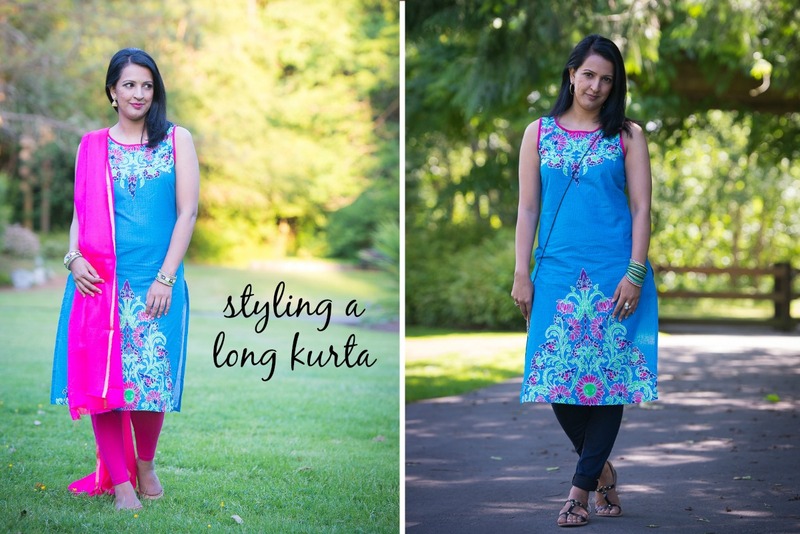 This week we are tackling the long kurta, and next week we’ll be focusing on it’s shorter counterpart the kurti. A long kurta usually goes down until just an inch past your knee, and it can be either lose fitting like the one I wore here, or fitted around the waist like the one featured in this post. When I’m choosing kurta that I plan to style with Indian looks also, I tend to go for a fitted piece. I could easily have gone up one size in this piece if I wanted a more flowy look. 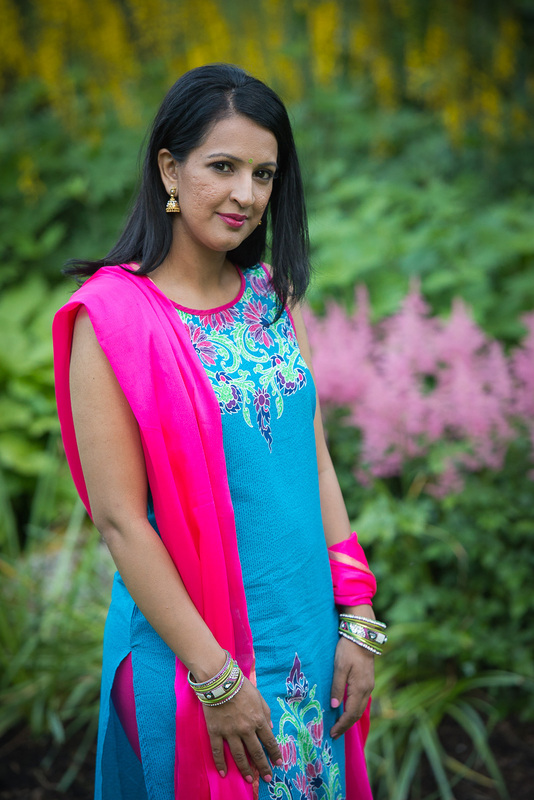 In this case, I knew as soon as I saw this kurta on the Bazzzar website, that I would want to wear it to Indian events too. 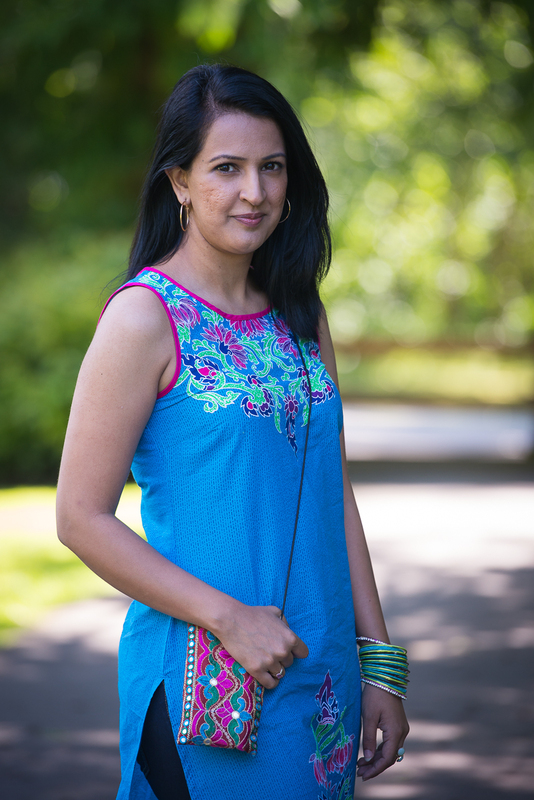 The first and obvious way to style a kurta is with jeans or leggings. I think everyone already knows this. I love to pair to long kurtas with skinny jeans and embellished sandals in the summer. When I’m going for a western look I usually shy away from wearing a Punjabi jhutti or overly Indian jewellery. If I go that route (especially with leggings) I just feel like I’m wearing an Indian outfit and missing a dupatta. Of course, I have done some stacked bangles here because I always need some bling. For my second look, I’ve taken the same kurta and paired it with coloured leggings, a dupatta, and some key accessories – chudiyan on both wrists, jhumke, and a bindi. For summer events and weddings you don’t have to go over the top. In fact, I think I could also easily pair this kurta with white leggings and dupatta for an even softer daytime look. (Bookmarked for next time). 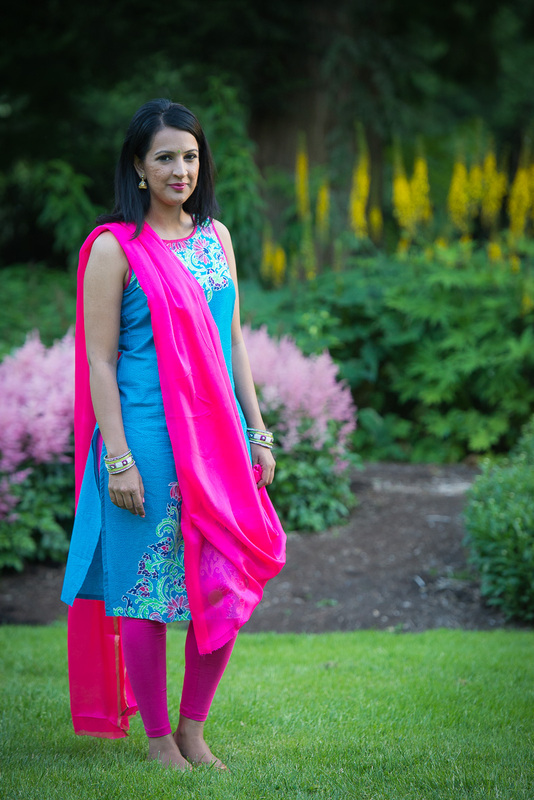 When I’m shopping for Indian tunics (long or short), I have three requirements and Bazzzar hit them all so I had to share their site with you. 1. 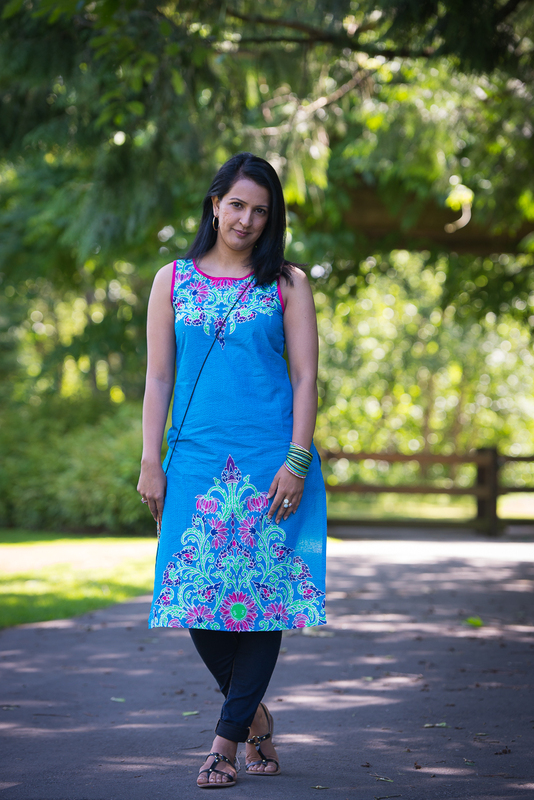 Good quality stitching – this is usually an issue when buying kurtis online or from the local desi shops. I’ve already worn my pieces from Bazzzar a few times and there is no ripping stitches! Yay! 3. 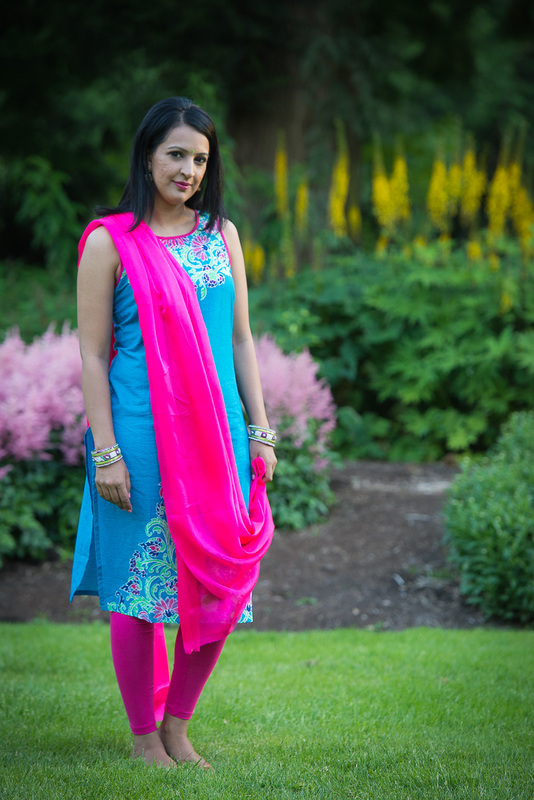 Just a touch of Indian – I’m not a fan of kurtas that look too much like a kameez that belongs with a salwar or at a ladies sangeet. 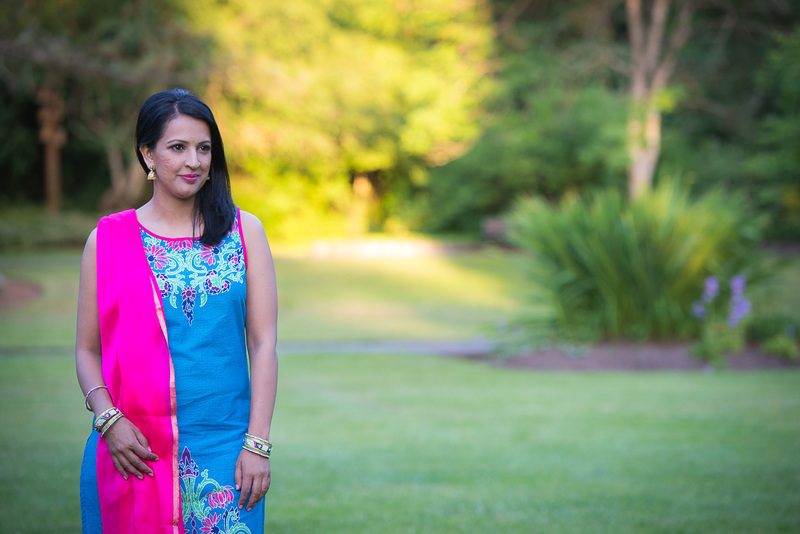 I feel like a modern kurta should have just a touch of Indian-ness, but not be party wear. The reason I was originally drawn to kurtis by Bazzzar is that they are Indian but classy. Kurtas are a great investment for desi girls. They cost way less than your average kameez and churidaar set, and they give you so much versatility in your wardrobe. I’ve already given you a few ideas for styling this one, and I’m also thinking of pairing it with white leggings and embellished sandals for cocktails, or with a lightweight plain lehenga lehenga for a summer wedding too. If you are looking to add some new kurtas (or kurtis) to your collection, I highly recommend bazzzar.com. My past experiences of ordering clothes online from India had not been good and I’d pretty much written off the process, but Bazzzar has changed my mind. There quality is amazing, pricing is fair, and shipping time is exceptional. Heads up: I was provided with product by Bazzzar.com but all the opinions expressed in this post are my own. As always I only share products & services I’ve tried and love with my readers! I really loved this kurti plus anything desi always grabs my attention. You look great. Ok, so I know this is reviving an old post, but please share where you buy your kurtis! The Bazzzaar site seems to be shut down. 🙁 I’m Canadian as well, so looking to buy online from somewhere reliable (not a great selection in local Indian shops). I wish I could order online from some of the stores in India but they don’t ship internationally. 🙁 Help!